Acupuncture is the procedure of inserting and manipulating needles into various points on the body to relieve pain or for therapeutic purposes. Acupuncture gained attention in the United States when President Richard Nixon visited China in 1972. The visiting delegation was shown on television viewing an open-chest surgery when the patient under operation was fully awake. Traveling with Nixon was New York Times reporter James Reston, who received acupuncture in China after undergoing an emergency appendectomy. Reston was so impressed with the post-operative pain relief he experienced from the procedure that he wrote about acupuncture in New York Times upon returning to the United States. After diagnosing a pattern of disharmony and administering acupuncture treatments, a doctor of TCM often writes an herbal formula from over a thousand common herbal formulas or from more effective traditional family formulas. Herbal medicine has a long history in the Orient. The first Chinese material, the Shen-Nung Herbal Classic, was begun during the Stone Age and completed in the later part of the 5th century B.C., from which some important formulas originated. In this herbal classic, herbs are categorized into three groups. The first group is called “food herbs” which are eaten as part of one’s diet for general fortification, prevention and maintenance. The other two groups are called “medicinal herbs” which are dispensed to each patient as an individual formula based on one’s constitution, environment and medical condition. 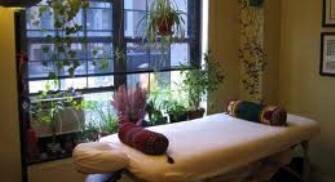 Medicinal herbal therapy works in concert with acupuncture by providing the nourishing support for the energetic “re-programming” and “re-balancing” efforts of acupuncture.